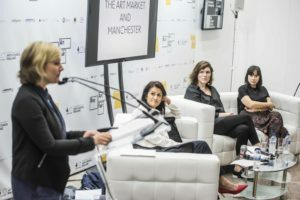 A survey of exhibiting galleries at the London Art Fair has revealed that 49% of respondents believe ensuring free movement of people and goods within the EU is the most important thing the UK government can do to help London maintain its position as a global art hub following the UK’s exit from the European Union. 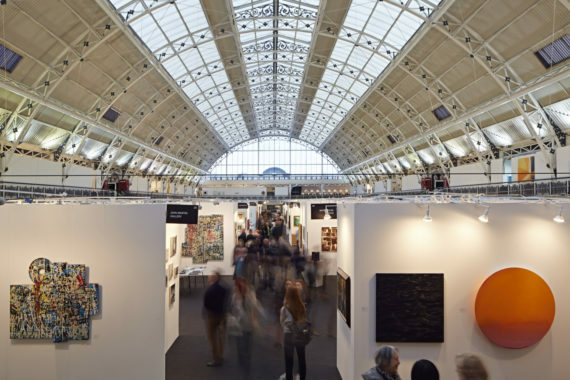 51 of the 129 galleries exhibiting the fair – which opens today and continues at the Business Design Centre in Islington until 22 January – responded to the survey. Also of concern is maintaining the current low tax status for importing and exporting goods – identified as a priority by 45% of the galleries. 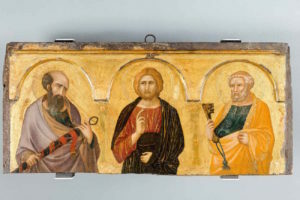 Galleries were marginally more positive about the art market than they were about the UK economy as a whole, with 58.8% of those surveyed believing the UK economy will get worse in 2017, while under half of respondents (47%) believe that the art market will fare worse over the coming year. 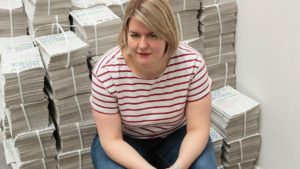 She said that uncertainty immediately following the referendum may have led to some reservations from collectors last summer. However, this was balanced out in the latter half of 2016 by international collectors taking advantage of the weakened pound. Zavier Ellis, director of exhibiting gallery Charlie Smith London, added that no matter the uncertainty there will still be people who want to collect and buy good art. “There is no hesitancy from the US, and with a weakened currency we’re in a good position to be exporting. The survey results were published just as prime minister Theresa May ruled out the UK staying in the single market, as staying in, she said, would mean “not leaving the EU at all”. However, she promised to push for the greatest possible access to the single market following Brexit. May also confirmed MPs and peers would get a vote on leaving the EU in both Houses of Parliament. She said: “This agreement should allow for the freest possible trade in goods and services between Britain and the EU’s member states. Responding to May’s speech, John Kampfner, chief executive of the Creative Industries Federation, said he welcomed May’s “recognition of the urgent need for a reciprocal arrangement with the EU on its nationals working in the UK and those British citizens currently employed in the EU”, adding that the sector had “benefited enormously from the skills and insight EU workers have brought”. Kampfner also stated that future trade agreements needed to “take into account the importance of effective intellectual property rights protection and enforcement if we are to reap the financial benefits”.